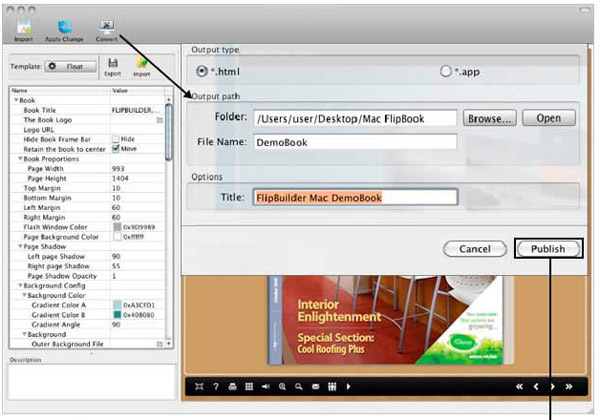 How to Convert Flipping Flash Book On Mac Devices? When sometimes we need to make flipping Flash book, but we are always using the PC version flipping book converter. If we run the PC version flipping book converter on Mac, it would not recognize to use, so we may need the Mac version. How to use A-PDF to Flipbook for Mac to make Flipping flash books on Mac? Generally when we want to convert PDF into flipping Flash book, we need get the software and install the software and also prepare a PDF file so does the FlipBook for Mac. 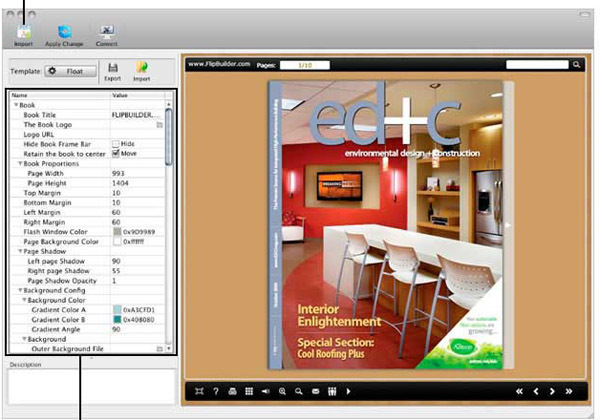 Import PDF files onto A-PDF to Flipbook for Mac with bookmark and links importation, with enable search option or with the wide page detecting. Publish the flipping Flash book for Mac with HTML version for uploading online or App version for better experience page turning effects on Mac.